After all, I’ve been married for…well, ever. I’ve had four children. An exciting career. I’ve travelled all over the world. Written books. Published hundreds of blog posts. And now, most exciting of all, I have a spectacular new grandchild. You know what that means? 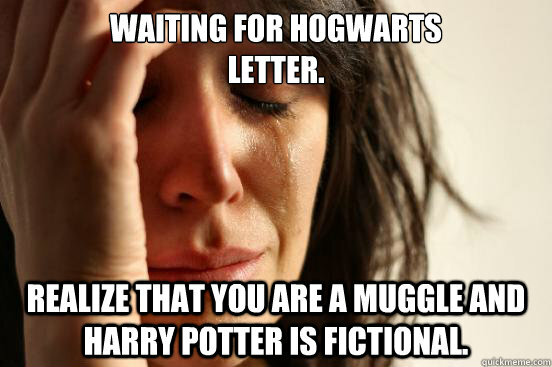 The letter is just not coming. Looking for solace in the face of the devastating realization that I’m not going to witchcraft school in the foreseeable future, there was only one search term I could put into the Friday Five challenge. Apparently, there are 48,485 results on Amazon. That’s 48,484 people who don’t have to go through life as Muggles and one misfile (the giant boxed set of “Things That Go Hump In The Night”). As I glanced over the first batch of those 48,485 witch covers, one jumped out at me immediately. 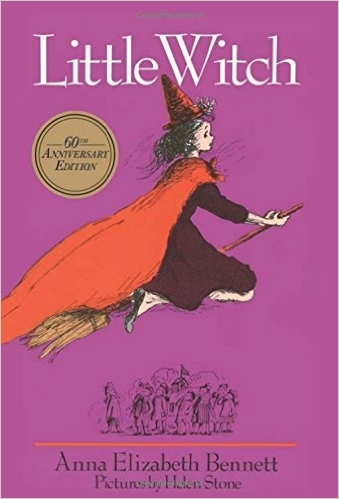 Little Witch, written by Anna Elizabeth Bennett, and illustrated by Helen Stone was one of the first “chapter books” I ever read. With its wonderful illustrations and own special storytelling magic, it took me back in time to one of the very first books I loved enough to read over and over again. It was Harry Potter in reverse, a story of a little witch girl who lived with magic and potions and spells, but only wanted to be a normal child, go to school, and have friends. Looking back, I realize that in many ways the messages are the same—children looking for a place where their differences are accepted. Anyone who ever longed to cast a spell or experiment with a magic kettle will delight in the wonderful story of Minx and how her dearest wish came true. Helen Stone’s gay line drawings make the little witch and her friends come alive with humor and Hallowe’en spirit. My Analysis: In my memory, this was an incredibly exciting story of a little witch girl who brews exciting potions, befriends local children, and hopes for a normal life. When my children were small, I looked for this book but it has been out of print for over thirty years. So this 60th Anniversary reprint is great news. Or…it would be if I had children the right age to share in the magic that I remember. Tired of waiting? 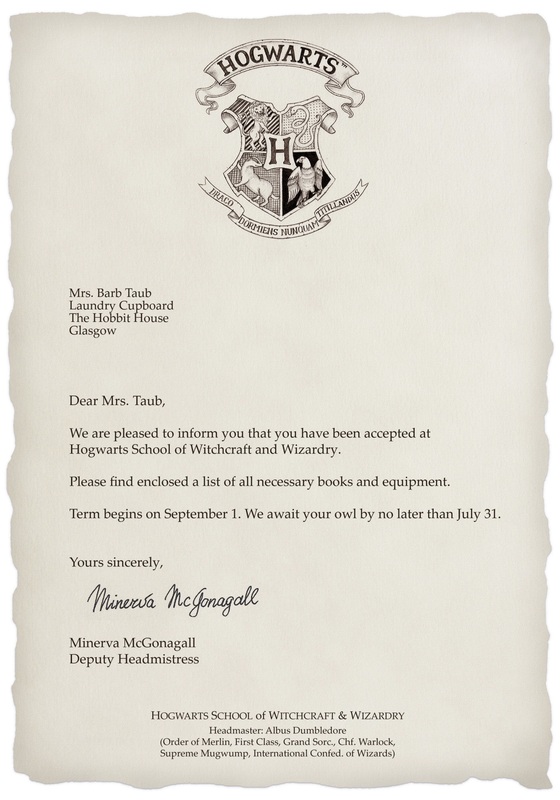 You can get your own letter here! Minx was one of my favorites too! Aren’t you glad she’s back? Ooh your very own letter? I have a cupboard under the stairs which I joke about it being able to fit a small bed, I could use that as my address! Minx sounds like a fun read and one I’ve not heard of, perhaps it’s suited to younger readers who have yet to be entranced by all things Harry Potter. A good find, but a pass from me, I’m a set in stone HP fan….now where’s my owl? I practically live in my understairs cupboard already. I love it even if the ceiling is so sloped that Dobby would have trouble standing in there. Not only is it 100% owl-free, but it contains my washer AND dryer. I’d happily duel with any wizard who tried to replace my beloved dryer with a cot. This cute owl can been mine any day. Great choice, I love the sound of the book. And the letter is fabulous! This reminds me of The Worst Witch stories by Jill Murphy which I enjoyed reading to my children. The Harry Potter tour is great. Who doesn’t secretly hope to stumble onto Platform 9 3/4 every time they’re at Kings Cross Station? Hope you have a great tour. A few years ago we took the Jacobite steam engine train from Ft. William to Mallaig. 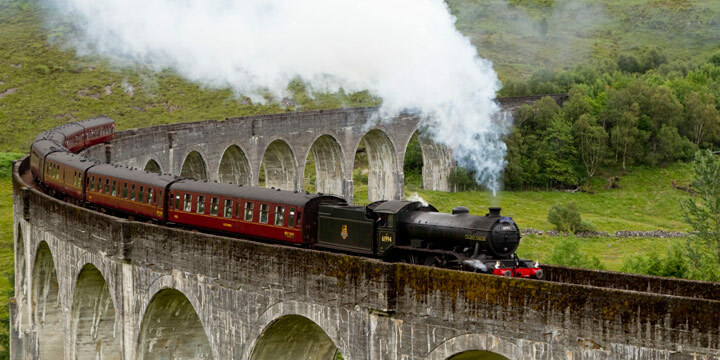 It’s one from the movie that even has a Harry Potter carriage (book early) and passes over that amazing 21-arch Glenfinnan viaduct. So fun! I’d buy this if I could find an appropriately-aged child for it. My problem exactly! But it was a fun trip down memory-lane. 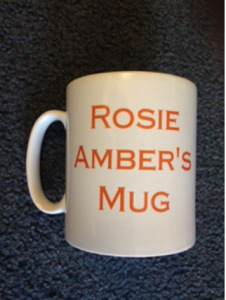 My little granddaughter will love this one. Thanks for bringing it to my attention. I sent you an email. Hope you got it. Sorry I dragged my feet on this.